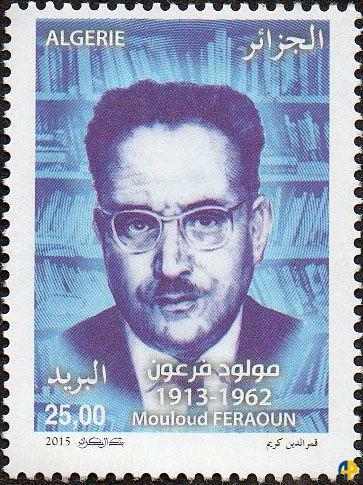 Algeria's Post Office services just issued on 21 september two stamps featuring two of the most important writers in Algerian literature : Abdelhamid Benhadouga and Mouloud Feraoun. 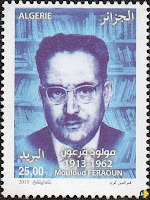 such as writers Kateb Yacine, Ahmed-Redha Houhou, poet Moufdi Zakaria and thinker Malek Bennabi. 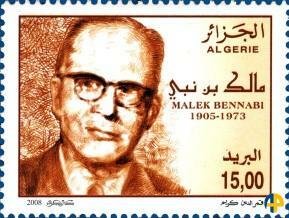 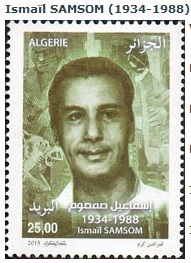 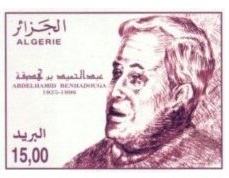 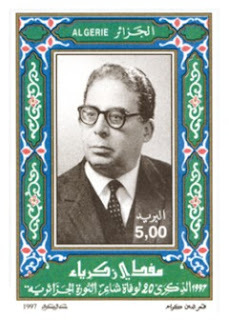 On 16 April 2008, the Day of Knowledge in Algeria, Algeria's Post Office had issued a stamp for Benhadouga but had instead completely mixed itself up and had printed the portrait of writer Mohamed Dib under Benhadouga's name. 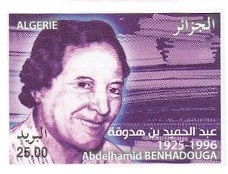 This latest issue of Benhadouga's stamp comes, in 2015, to correct the mistake made in 2008, but will Mohamed Dib remain part of the collection under his rightful name and portrait? 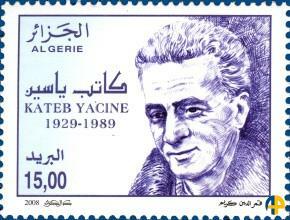 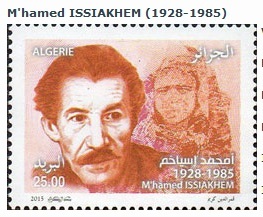 These stamps are part of a larger series dedicated to memorable "men of culture" notably featuring the great painters M’hamed Issiakhem and Ismaïl Samsom. 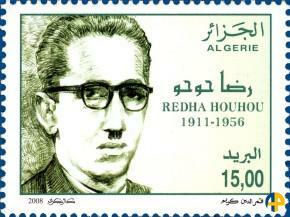 A great idea but an unfortunately named and ill conceived series that seems to exclude Algerian women.